The Drama is set in a near future where it explores the world in an indulgent manner, depicting rogue robots that rise against the human race after their apparent exploitation. Where can you stream Westworld? 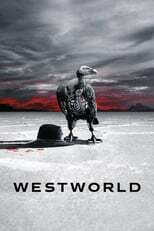 On 2016-10-02 Western/Science Fiction TV Series Westworld first aired on HBO. Written and created by Jonathan Nolan & Lisa Joy, and produced by Warner Bros. Television & Jerry Weintraub Productions, Westworld will return and was last broadcasted on 2018-06-24.